Located in the most desirable Caribbean locale! Aqua View Villa is a gorgeous 3 bedroom 2.5 bath villa located on the crystal blue waters of Chalk Sound in Providenciales ,Turks and Caicos. Perfect for a romantic getaway or family holiday. Aqua blue waters, tropical breezes and stunning views from almost every room await you. A trip to Aqua View Villa equals a trip to paradise!! 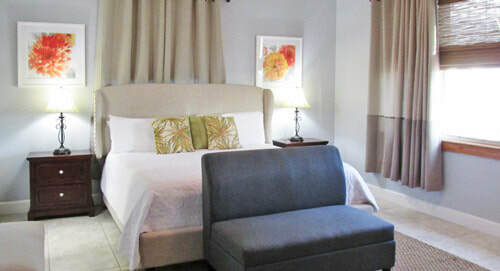 Lush tropical landscapes surround the three quarter plus acre property featuring central air conditioning in every room, three bedrooms- one with king sized bed, one with a queen sized bed, one with twin beds, and several large Sun Decks. Take a cool dip in your own private vanishing edge swimming pool. Or, stroll down the boardwalk and take a swim in the warm and inviting waters of Chalk Sound. You will find the waters are shallow (typically 3 to 4 feet deep) and are perfect for snorkeling, playing or swimming. Sugar white sand awaits at Taylor Bay Beach, located less than 1 mile from Aqua View. Aqua View Villa is relaxation the way it was meant to be. Just bring your suitcase and prepare to be rejuvenated. Unwind in any of Aqua View's spacious bedrooms, ocean facing living room or dining area and create memories that will last forever. This stunning property features 3 bedrooms, two with unobstructed views of the ocean. Master bedroom features a large in suite bathroom, with Jacuzzi Whirlpool Bath. Take a nap in the hammocks, sunbathe on the private 60 foot deck spanning the rear of the property or dine at sunset from the covered patio, steps from the water's edge. Leave the cold weather behind. The average temperature in Providenciales is around 82 degrees year round!!! Aqua View Villa and Providenciales awaits you! 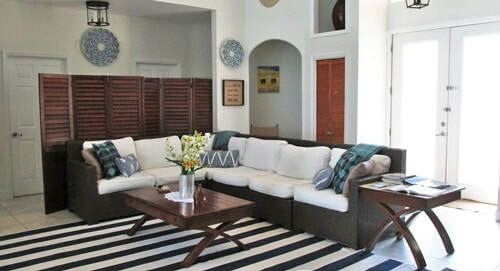 Central Air Conditioning *Flat Screen TV & Surround Sound *Board Games *Good Books *Long boardwalk for quiet stroll *Gazebo with Hammock *several Sundecks where you can relax, read a book, or simply sunbathe to your hearts content!